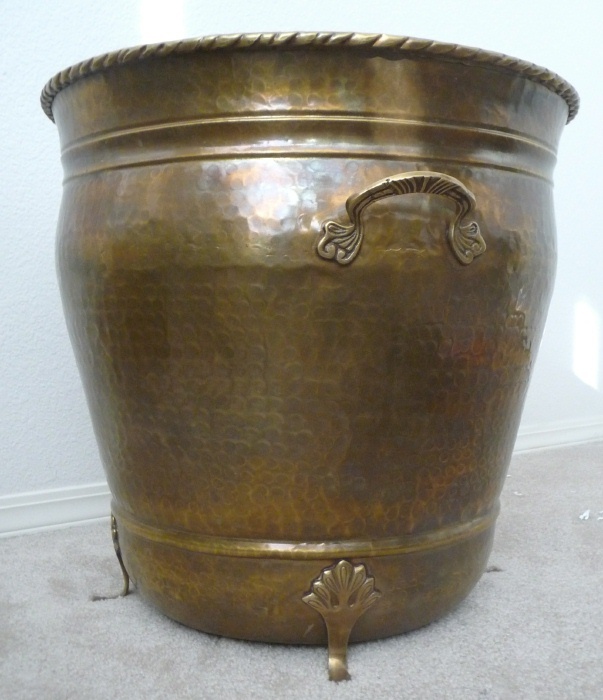 Home > Brass Planters > Solid Brass Planter Footed 15"W x 14.75H"
Solid Brass Planter Footed 15"W x 14.75H"
Solid brass planter in hammered hand-rubbed antique finish is lacquered to resist tarnishing. Beautifully detailed cast brass handles and cast brass feet add to the elegant appearance of this piece. 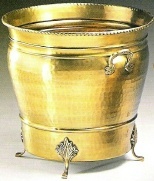 Rolled top edge in "rope" design and extruded bands top and bottom highlight the attention to detail on this planter. 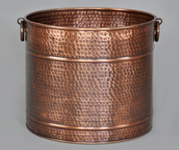 Heavy solid brass construction for durability and corrosion resistance. Diameter 15" (measured across top opening). Height 14.75" (overall). Height inside planter bowl 13.5." Diameter across the bottom of the planter bowl is 10." Diameter across the bottom of the planter including feet is 12.5" Note: Bottom of the planter bowl is flat. 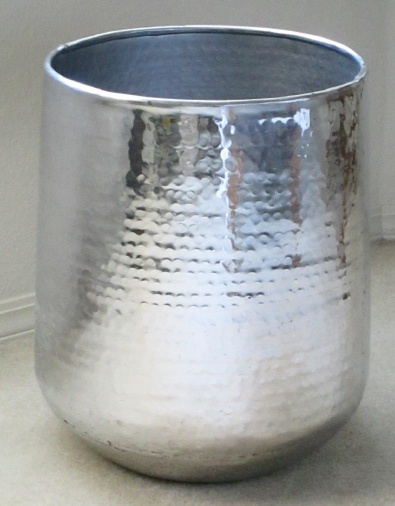 This planter is also available in 12" and 18" diameters. 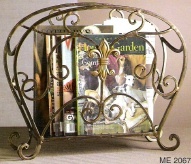 Appearance, weight, or dimensions may vary slightly as each piece is hand made. Ships as FedEX Ground oversize parcel due to dimensions and packing requirements.